Adding more features to my navigation UI. Need to make the navigation mesh stand out and be rendered when in this mode, so you see the extends of the area you can place location nodes on. I’m not going to get lost in creating pretty icons for all those buttons just yet, or wait until all the behavior I need is in place. I have to admit that I did get a bit lost trying to create some cool icons this morning. Looking at various guidelines to get some sort of base direction for creating icons, and what tools is best to use. Basically, when creating icons, it is best to have a holistic view of the set so they all fit the theme. Have the same lighting setup and don’t contain too much detail the clutters the base form. Both Apple and Microsoft have some very strict guidelines for creating icons and are worth a look over to see all the different concerns they have and suggestions they bring to the table. 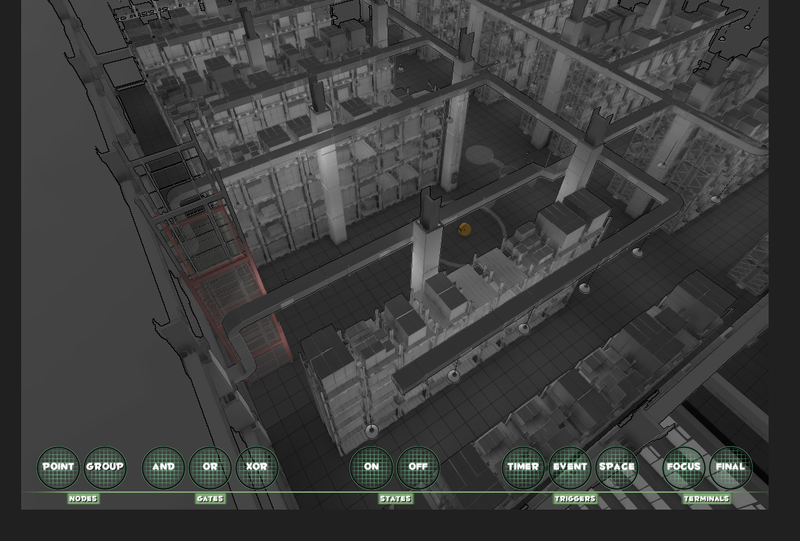 When the player is in this mode, he will be able to pan the camera around the area so he can see more accurately where he is and where he can place his navigation points. Looking forward to seeing this stuff work.